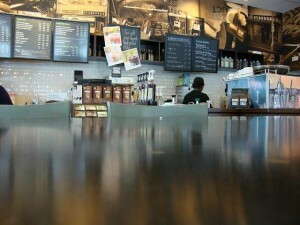 Most financial experts would advise that you drop your Starbucks habit to save a lot of money a year. But let’s get real here, when you love your Starbucks (or other favorite coffee place) it is hard to give it up. Here are four simple ways to get the drinks you love at Starbucks for a cheaper price. Starbucks chai tea latte is a favorite of many, but can cost $3.65 for a grande size. You can get a similar flavor by ordering a grande chai tea and asking for a little steamed milk on top. As long as the steamed milk is an inch or less, baristas will most likely not charge you. You can also just add cold milk or half and half from the bar plus sugar to get a tasty drink too. A venti-sized Frappuccino is 24 ounces and two tall-sized Frappuccinos are 12 ounces each. So if you do the math, two tall drinks are the same as one venti. However, baristas are not allowed to split the drinks and give you the cheaper price. You can still split the drink by yourself and share with a friend for a major saving. Did you know that there is a size smaller than a tall? A short cup holds eight ounces and is cheaper than a tall drink. You can order any hot drink in a short. If you order a short latte, you will save money, as well as calories. If you order a short cup of coffee, you can get a free refill with your registered Starbucks card. You can get the same taste of your favorite iced lattes with iced coffee. The iced coffee is brewed extra strong, so it is advisable to get a good inch or more of cream put in for a sweeter latte taste. Also, with an iced coffee order, you get a free syrup. If you want to add caramel sauce, mocha sauce, or white mocha sauce, it costs .60 more. One of my favorite orders is a venti iced caramel macchiato upside down. To make that with the iced coffee, just order a venti with cream or your choice of milk, vanilla, and caramel drizzle. The prices vary on location and drink sizes, but the point is that using these Starbuck hacks will save you a lot of money. This is especially true if you have your favorite Starbucks once a week, every week.